The mud pools and steam vents facing Kísilhóll hill to the northeast are collectively named Gunnuhver. 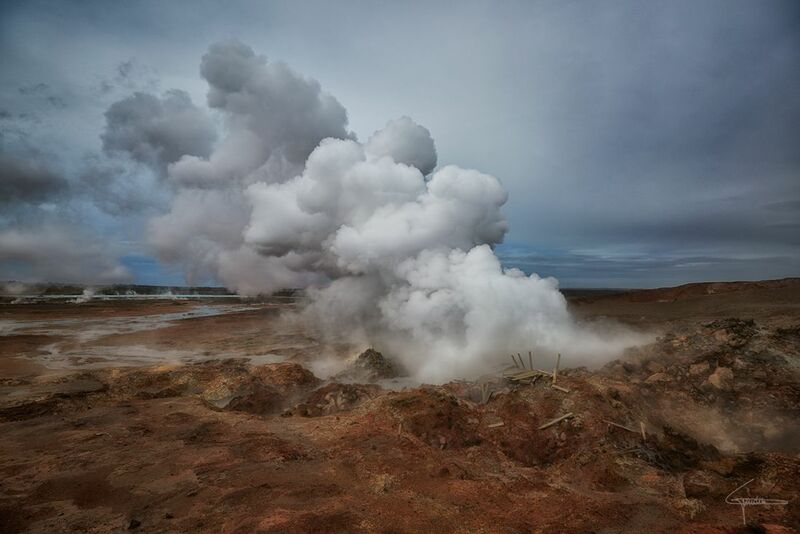 They form where steam generated by boiling in a geothermal reservoir emanates and condenses and mixes with surface water. Cédric (Homepage) wrote: Direct from the heart of the Earth. Amazing picture, I like it! omar (Homepage) wrote: impressing what mother earth is creating!